Here is how the licensing works both for the MultiTrack Player and tracks when you have more than one user. The principle is that you pay 50% of the normal cost of the Player/each song for each additional user. 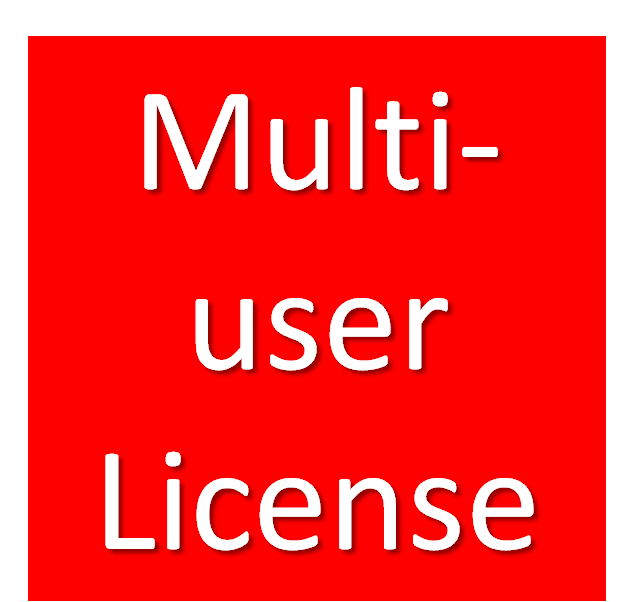 You can buy the multi-user licenses at any point. So if you buy the track in January and add it to a second computer in March, just buy the license in March. We are happy to make an exception whereby THE SAME person uses the computer in the church as they do their personal computer for practise at home. In this instance just one license is required. Why are we charging for multiple users? We feel that it is fair that the biggest users of the software and tracks pay the largest share. When you buy from Microsoft, you pay a fee to them based on how many computers the software is used on. When you buy songs from iTunes, you are meant to buy one song per user. Developing our Player, recording the tracks, hosting the files, running the website etc etc have all cost many tens of thousands of pounds/dollars of investment. We’re a small independent business not funded by a ministry or some deep pocketed backer. We really do need to recoup that investment in sales of both the Player and the tracks. And without making some money we simply won’t be able to continue to offer support, develop the player and record new tracks. The other reason that we charge for multiple use is that we pay a fee to the Publishers of each song that is sold, each time it is downloaded. This is a way of ensuring that the original song writers are honoured for their work. How do I download the Player/Songs onto multiple computers? Each purchase comes with a number of download attempts. Use the first for the first computer then login to your account with the second computer and download there. If you run into problems please just contact us. Likewise with the song downloads. You’ll also find that with the songs once you have them downloaded into your first computer (in the Songs folder) you can save them to a memory/USB stick and transfer them to the same folder on your second computer. You can’t do this with the player though – with the player you must download directly from the website. You are welcome to transfer your license to another computer when you upgrade (please ensure that the Player and tracks are deleted from the original one though). You can follow the procedure described above for downloading. If you need to contact us for a new download link (i.e. you have used all your download attempts up on your previous computer) we will charge you a small admin fee.